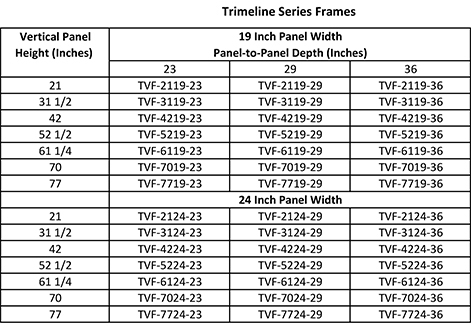 Frames will include trim and 2 pairs of tapped panel mounting angles. Added as suffix to assembly number. 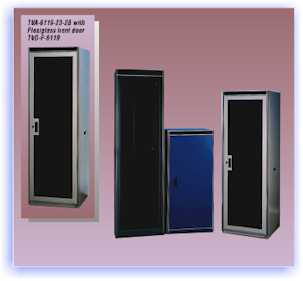 Includes vertical and horizontal members with vinyl inlay, complete and installed on frame. 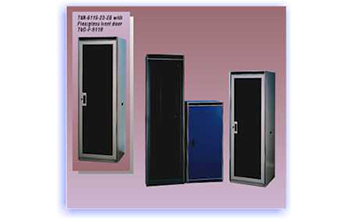 1/4 inch thick plexiglass front surface permits viewing of instrumentation through closed door, retaining all the features of the standard trimline door, such as: quick release hinges, magnetic closure, keyed lock and flush handle. Smoke Gray is standard. Other colors available. 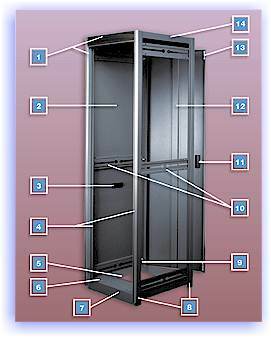 All features shown are standard in the Trimline Series. Welded, formed steel construction.